Spent this weekend starting on the fence along the South property line. Took one full day, with energetic help from friend Bryan, to remove 80' of chainlink fence and posts. Broke a heavy duty webbing strap and a nylon rope trying to pull the old posts. A lot of grunting labor. 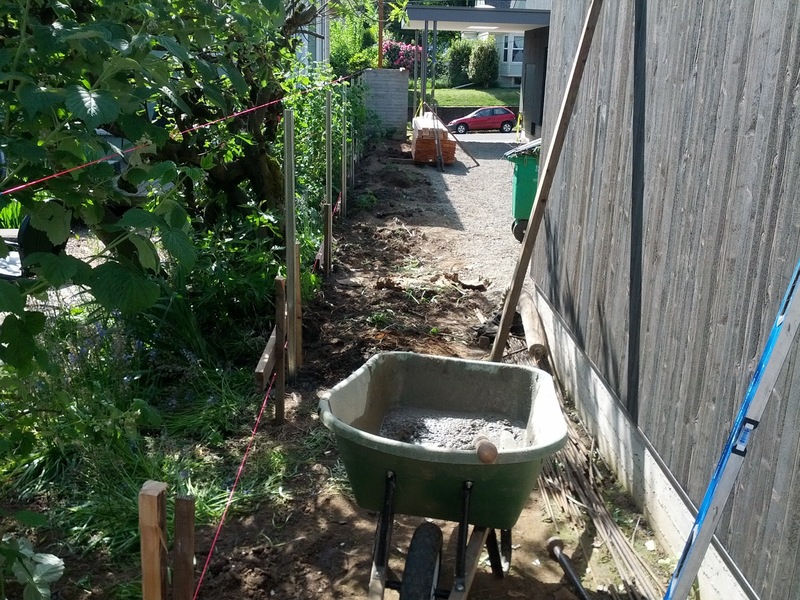 Today Lisa and I got the post holes finished, and set the new steel posts in concrete. Put the old fence on Craigslist, and managed the swarm of sketchy metal scrappers who descended. Tomorrow the wood infill begins.